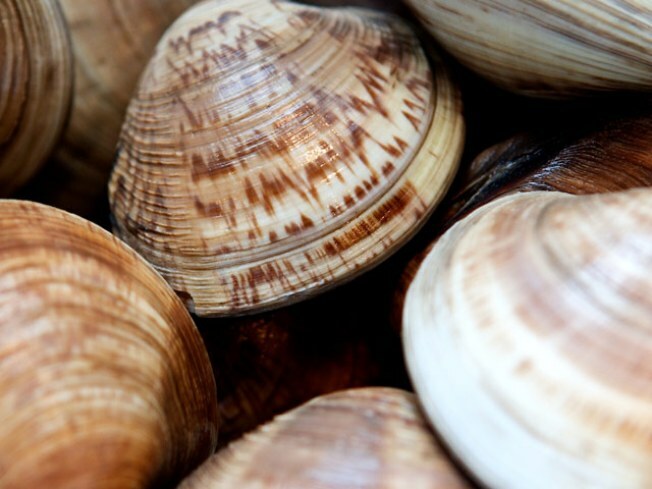 Shellfish meet beer at the Brazen Head's Winter Clam Shuck. BRINE AND ROSES: Most of the time, the only vaguely maritime thing about Atlantic Avenue is its name – except, of course, when scruffy neighborhood pub The Brazen Head throws its annual Winter Clam Shuck. Prices are positively retro (Blue Point oysters are $1, littlenecks are $4 for a half dozen), meaning the only thing holding you back is your appetite for mollusk and your ability to pace yourself through $5 Blue Point and Southampton ales. Saturday, 5PM. REDUX: If you missed the Roots’ ?uestlove laying down his encyclopedic musical knowledge at S.O.B.s recently – shame on you, really – you’ll have another chance: He spins at the Brooklyn Warehouse Party, in honor of Dr. Martin Luther King, at the Old American Can Factory (Gowanus) on Sunday night. Here’s hoping your employer recognizes MLK day so you can stay ’til 4AM and sleep all Monday. Sunday, 10PM. BRASS-KICKING: You’ve been itching to throw down to an all-night dance party of Balkan music, right? We thought so. Brass band Zlatne Uste’s Golden Festival – now in its 25th year (!) of celebrating Balkan culture – brings more than 40 bands and artists to Inwood’s Good Shepherd School, and if history can be trusted, this event is not to be missed. Saturday, 6PM-4AM. MAIZING: Temple of tequila Mayahuel kicks off $1 Taco Sundays (these puppies, filled with pork, chorizo and more, usually run $12), making summer suddenly feel less far away. Plus, you can spend all the cash you save on Patron. All day Sunday.